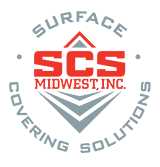 SCS Midwest Inc. is qualified and experienced in the application of a full range of products to provide you with the best flooring system possible to fit your needs. Tech Data Sheets, SDS Sheets, LEED and Promotional Information for any products we regularly apply are available upon request. Please feel free to link to our supplier’s websites via their logos below if you require more information on their products.